We “Npm Machinery Pvt. 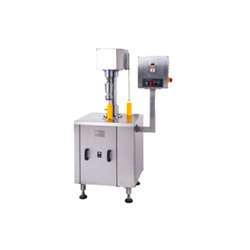 Ltd.” are actively engaged in manufacturing, exporting and supplying qualitative assortment of Pharmaceutical Packaging Machines, Food And Beverage Packaging Machines, Edible Oil And Lube Oil Packaging Machines, Agro Chemical Packaging Machines, Secondary Packing Machines, Automatic Machines and Semi Automatic Machines. Under the inspiring headship of our Director, “Mr. Pranay Patel”, we have created a strong position in this industry. Established in the year 2004, at Ahmedabad, an industrial heart in the State of Gujarat, India with operations spread to all corners of the country as well as beyond its borders. Our offered machines are hugely reckoned across the globe owing to their excellent performance, high efficiency, low maintenance, reliable usage, elevated durability, easy installation and rigid construction.